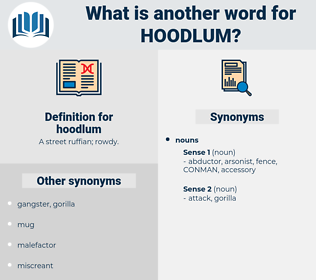 What is another word for hoodlum? thug, mobster, scoundrel, bandit, gangster, lowlife, hooligan, rascal, crook, bum, rogue. 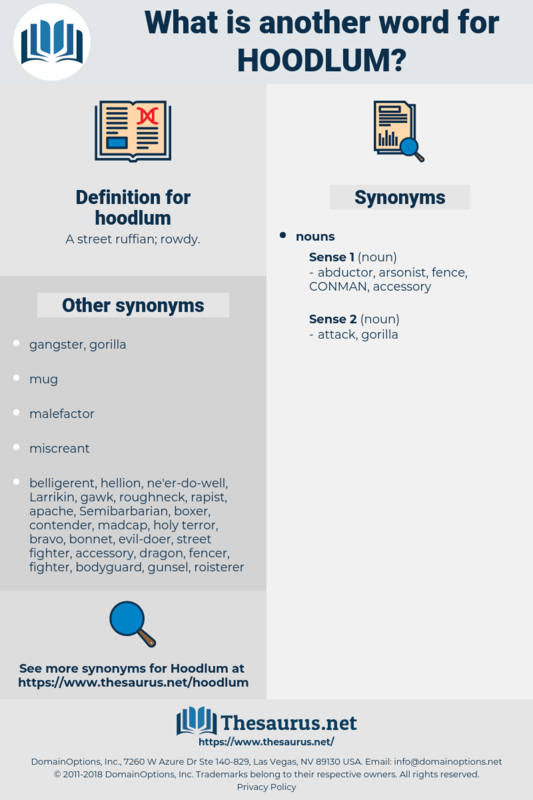 He is merely a hoodlum. The policeman's lips moved with a faint odd smile as he said this, - a smile that Matty and Josie interpreted to mean that Becky was just what the Riker girls had said she was, - a little Cove Street hoodlum, - while Tim, the prize - fighter, was probably one of the friends of her family that the policeman had probably now under arrest down in that " corner house."